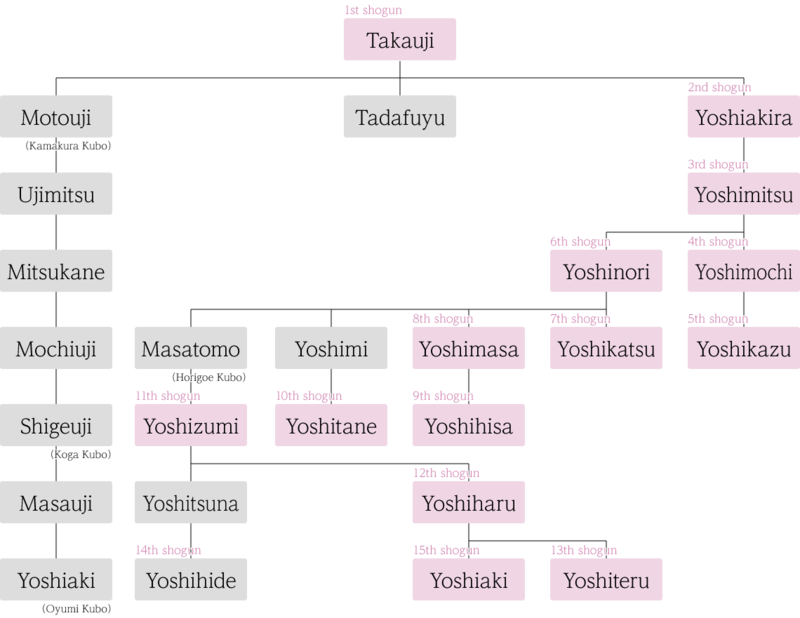 Toujiin was established in 1341 on the southern slope of Mount Kinugasa by the shogun Ashikaga Takauji (1305-1358), with Zen master Muso Soseki (1275-1351) of Tenryuji designated as founding priest. From the time of Takauji, Toujiin has served as the family temple of the Ashikaga shoguns. 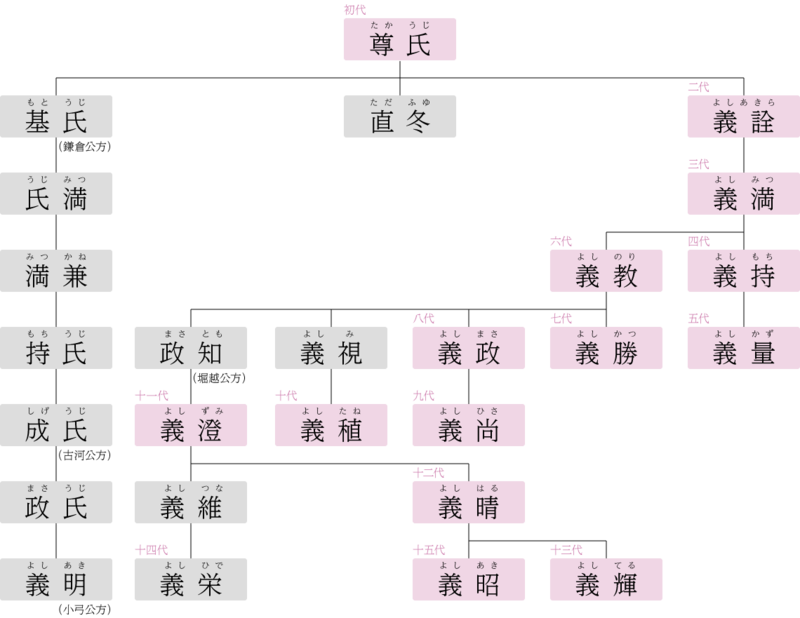 This status was reinforced when another Ashikaga temple, Toujiji (located near the city center and closely associated with Takauji and his son Yoshiakira), was destroyed during the Onin War of 1467-77. Toujiin, too, was devastated by fire on several occasions, but each time was rebuilt by powerful supporters such as Toyotomi Hideyoshi (1537-1598) and Toyotomi Hideyori (1593-1615), testifying to the high regard in which the temple has always been held. Toujiin continues to preserve many temple treasures and artworks from its 230-year association with the Ashikaga shoguns, making it a worthy stop during any visit to Kyoto. Toujiin's Hojo (Main Hall) was originally constructed in 1616 by the general Fukushima Masanori (1560-1628) on the grounds of Kaifuku-in, a sub-temple of the nearby monastery Myoshinji. The building was moved to its present location in 1818. The boards of the broad veranda on the Main Hall's south side are laid in such a way that when walked upon, they produce a distinct squeaking sound. This type of construction, known as uguisu-bari (nightingale floor) was designed in ancient times to signal the presence of intruders. 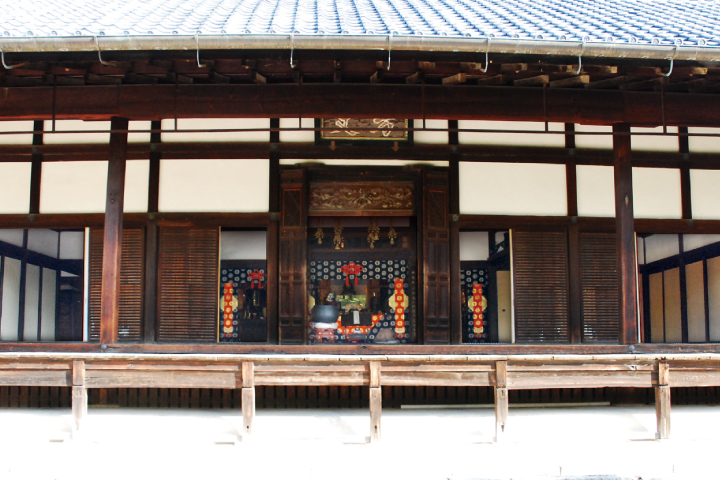 The paintings on the Main Hall's fusuma (sliding screens) are by the noted artist Kano Koi (17th c.). 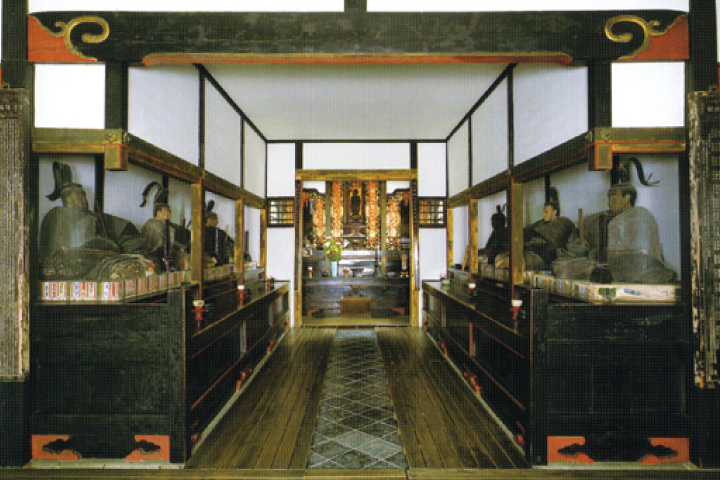 They were damaged at the time of the Meiji restoration (1868) and also some years later when the Main Hall was used as a movie location, but they have since been restored and are on display once a year, along with other temple treasures. The central image enshrined in the Reikoden (Hall of Sacred Light) is Riun Jizo Bosatsu (Good Fortune Jizo Bodhisattva). This was Ashikaga Takauji's favorite object of devotion, and is said to have been carved by the great Buddhist saint Kobo Daishi (774-835). 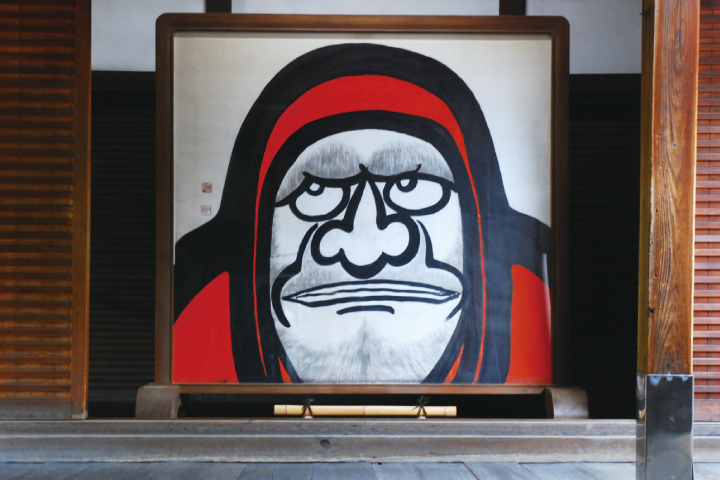 The hall also displays images of the Indian monk Bodhidharma, the transmitter of Zen from India to China; Muso Soseki, founder of Toujiin; the fifteen shoguns of the Ashikaga clan, excepting the 5th shogun Yoshikazu and the 14th shogun Yoshihide; and Tokugawa Ieyasu, founder of the Tokugawa shogunate. Ieyasu's statue is said to date from his 42nd year, when he underwent a purification ritual at the great Shinto shrine Iwashimizu Hachimangu, located just south of Kyoto. 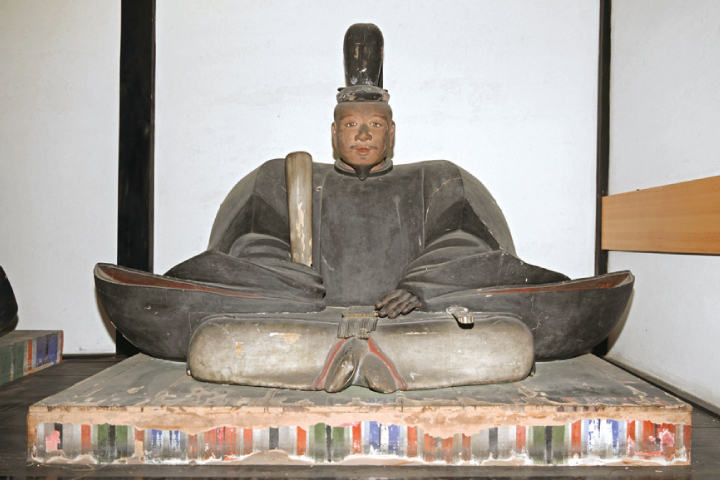 Originally kept at the shrine, the image was relocated to Toujiin during the suppression of Buddhism that followed the Meiji Restoration. 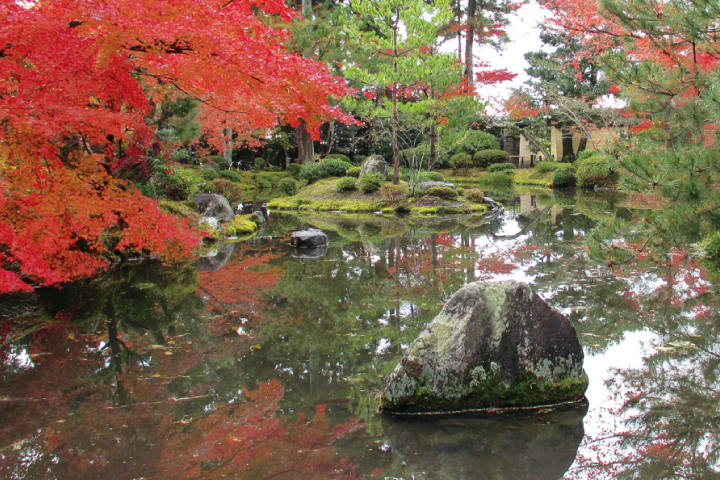 Toujiin's garden, located in the northern part of the temple precincts, is traditionally ascribed to Muso Soseki. 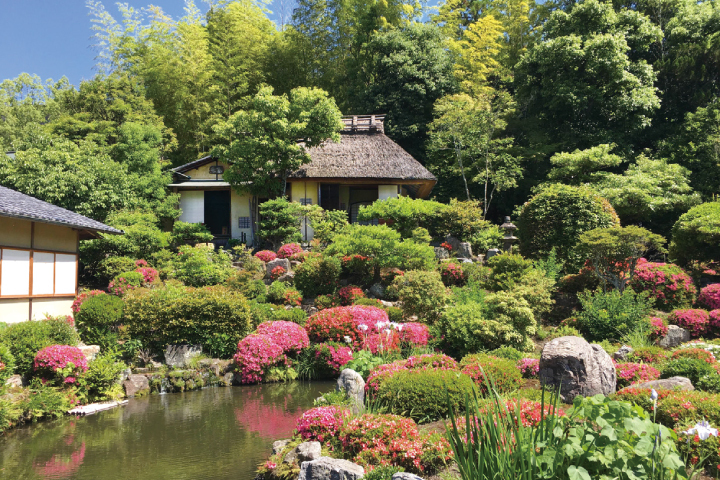 The eastern section of the garden is a secluded area centering around a pond known as the Shinji-ike (Heart Character Pond), since it was designed to resemble the Chinese character for "heart". On the small island in the pond, there once stood a building known as the Myo-on-kaku (Pavilion of Wonderful Sounds); traces of this building can be seen in the remaining foundation stones. The Shinji-ike garden is at its best in midsummer, when the flowers known as hangesho (lizard's tail) come into blossom. The section of the garden to the west, containing a pond known as the Fuyochi and best viewed from the Shoin hall, is laid out in the shape of a lotus flower. Partitioned by ancient hedges, the garden features flowering bushes set off by a variety of other plants and creative rock arrangements. When the garden was restored in 1457 in commemoration of the 100th anniversary of Ashikaga Takauji's death, a teahouse known as the Seirentei was constructed just north of the Fuyochi Pond by the 8th Ashikaga shogun, Ashikaga Yoshimasa (1436-1490). 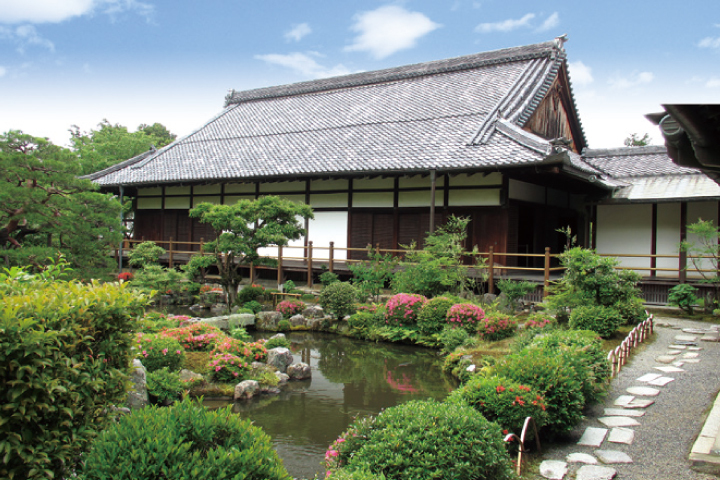 This section of the garden is best appreciated while sitting in the Shoin hall, enjoying the fragrance of tea and viewing the camellias in the winter and early spring, the azaleas in early summer, the gardenias in midsummer, and the rose mallows in early autumn. 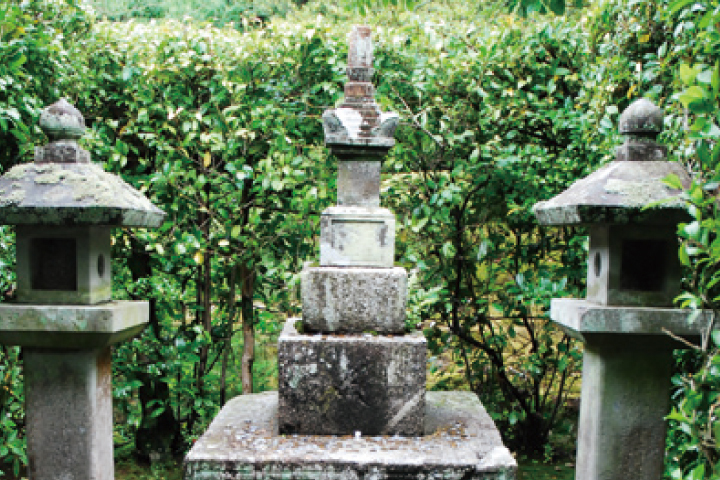 Between the east and west sections of the garden is found the grave of Ashikaga Takauji, designed in the simple Muromachi-era hokyoin-to (Japanese pagoda) style. The large foundation stone features curved kouzama designs encompassing carvings of lotus flowers. 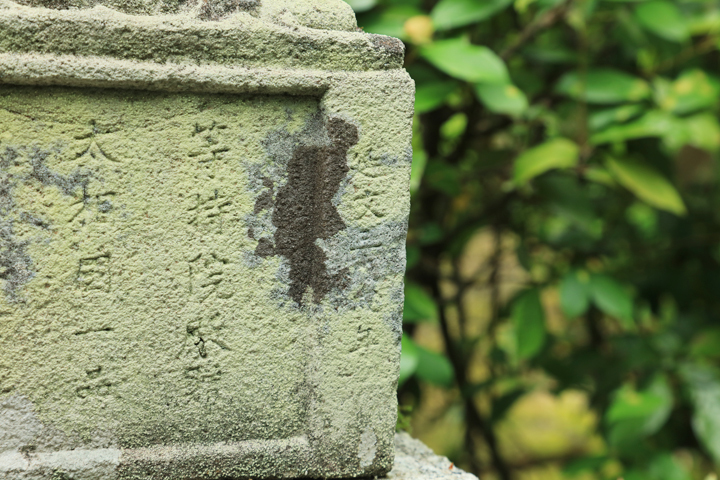 On a higher stone, one can see Chinese characters reading "the 4th month of the 3rd year of the Enbun era ." 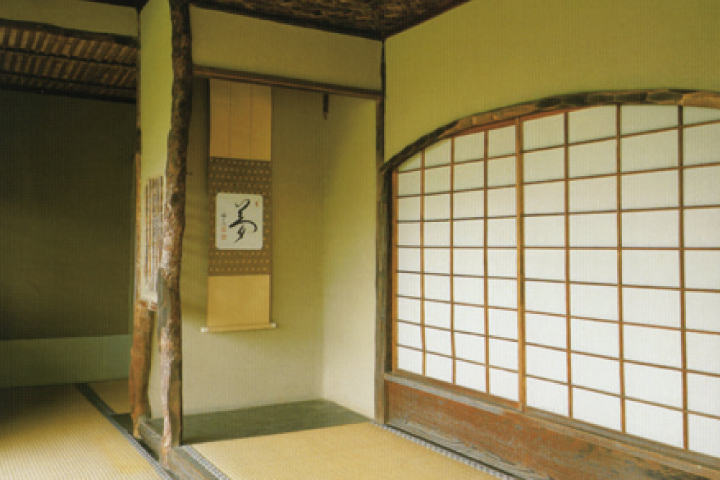 On a low rise just north of the Main Hall stands the Seirentei (Clear Ripple Hut), a rustic teahouse with a quiet, reserved air. 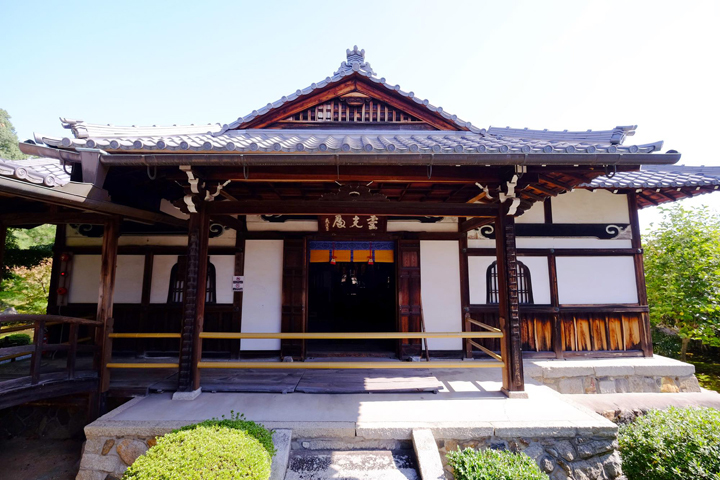 It was constructed in 1457 by the 8th shogun, Yoshimasa, who enjoyed having tea ceremonies here with friends such as the noted tea master Murata Juko (1422-1502) and the artist and poet Soami (d. 1525). 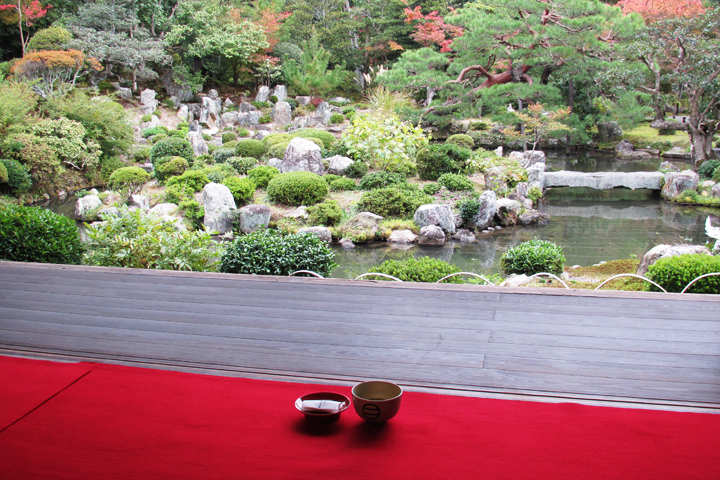 The actual tearoom is built on two levels: a lower level that is two tatami mats in size, and a slightly raised upper level that is one tatami in size. The upper level, for high status guests, afforded excellent views of the Fuyochi Pond to the south and, through the arched window in the rear, of Mount Kinugasa to the north. The outlook to the north is presently blocked by buildings.